Most people you speak to will have heard of Frankenstein and some may even be aware that it was born out of boredom on a rainy evening when Lord Byron and the Shelleys attempted to entertain themselves by creating and telling scary stories. 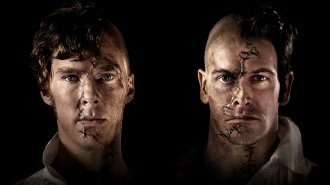 But very few of us really know very much else about its creator, Mary Shelley, the woman behind the monster. For example, I for one did not know that she was the daughter of such radical and influential parents. I also did not know what a difficult life she lead in her late teens and into her early adulthood. In this biography Antoinette May manages to both depict the events of Shelley’s life but at the same time illustrate key moments that helped to shape the novel that would go on to immortalise her forever. But unlike most biographies, May does not just give accounts of her life supported by evidence, she quite literally tells us the story of Mary Shelley’s life up until the age of roughly 25. Mary Shelley led a life that would leave most broken, by the age of 21 she had had an affair, married, become estranged from her family, lost 3 children, her sister and her husband as well as her step-sister’s two children (one of which was also her husband’s), as well as writing Frankenstein among other things. In the space of two decades she went through more than most do in a life time but still found the strength and courage to continue to live a full life. However, because her life is depicted as a narrative, you become invested in her life as a character. May writes the story with very little emotional inflection from the narrator as none is warranted, she just writes the story as it was rather than asking for your pity or empathy, but it is very difficult not to give it as you watch the characters go through life changing events time after time. 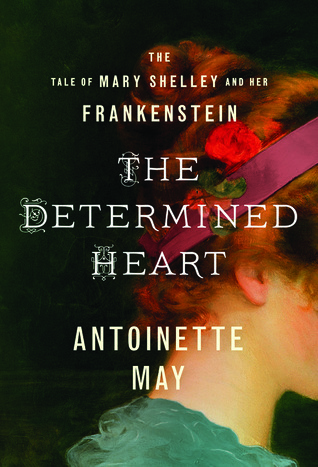 Another way in which this story is not your typical biography is in that it does not just tell the story of Mary Shelley’s life, but also sometimes delves into the the lives of the other characters in order to illustrate how they had an impact of Shelley’s life. Characters such as Lord Byron, Claire Clairmont, William Godwin and Mary Wollstonecraft who had a considerable influence on her. Although there is no explicit disclaimer stating the authenticity of the events in the story, it is billed as a biography and the source list at the end is extensive so that you do feel comfortable suggesting that these are in fact accurate depictions. However, I found the story to be so intriguing and unbelievable that I was compelled to do some research for myself and everything that I found was concurrent with May’s depictions. On the whole, this biography is very compelling especially as I don’t often find myself interested in reading non-fiction recreationally but this one in particular is so well written that it strikes a very happy balance between fiction and non-fiction. But more than that, what I liked about this book was the subject matter; I never expected the author’s life to be so interesting and really put my own life (as I myself am 21) into perspective. As heart-wrenching as her story is, I’m glad to have gotten to know Mary Shelley, the woman rather than the writer, better. I couldn’t’ put it down, at first to find out what happened next and then because I didn’t want to abandon her. I would throughly recommend this tale of perseverance. Keep an eye out for The Determined Heart when it comes out in September this year if you’re looking for something compelling, earthy and heartbreaking.